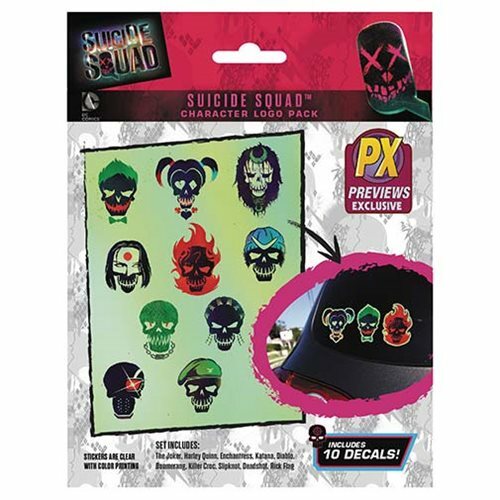 This Suicide Squad decal pack features the entire set of Task Force X Logos. Includes 3 sheets of decals featuring the Squad! Perfect for use on car windows, laptops, tablets, and more. Made of high quality polyester and then printed, they will look great outdoors or in for a very long time! Each sticker measures approximately 4-inches tall. Ages 13 and up.